The first film director from an African country to achieve international recognition, Ousmane Sembene remains the major figure in the rise of an independent post-colonial African cinema. Sembene’s roots were not, as might be expected, in the educated élite. After working as a mechanic and bricklayer, he joined the Free French forces in 1942, serving in Africa and France. In 1946, he returned to Dakar, where he participated in the great railway strike of 1947. The next year he returned to France, where he worked in a Citröen factory in Paris, and then, for ten years, on the dock in Marseilles. During this time Sembene became very active in trade union struggles and began an extraordinarily successful writing career. His first novel, « Le Docker Noir », was published in 1956 to critical acclaim. Since then, he has produced a number of works which have placed him in the foreground of the international literary scene. Long an avid filmgoer, Sembene became aware that to reach a mass audience of workers and preliterate Africans outside urban centers, cinema was a more effective vehicle than the written word. In 1961, he traveled to Moscow to study film at VGIK and then to work at the Gorky Studios. Upon his return to Senegal, Sembene turned his attention to filmmaking and, after two short films, he wrote and directed his first feature, Noire de…, La (1966)(english title: Black Girl). Received with great enthusiasm at a number of international film festivals, it also won the prestigious Jean Vigo Prize for its director. Shot in a simple, quasi-documentary style probably influenced by the French New Wave, BLACK GIRL tells the tragic story of a young Senegalese woman working as a maid for an affluent French family on the Riviera, focusing on her sense of isolation and growing despair. Her country may have been « decolonized, » but she is still a colonial — a non-person in the colonizers’ world. Sembene’s next film, Mandabi (1968) (english title: The Money Order), marked a sharp departure. Based on his novel of the same name and shot in color in two language versions–French and Wolof, the main dialect of Senegal–THE MONEY ORDER is a trenchant and often delightfully witty satire of the new bourgeoisie, torn between outmoded patriarchal traditions and an uncaring, rapacious and inefficient bureaucracy. Emitai (1971) records the struggle of the Diola people of the Casamance region of Senegal (where Sembene grew up) against the French authorities during WWII. Shot in Diola dialect and French from an original script, EMITAI offers a respectful but unromanticized depiction of an ancient tribal culture, while highlighting the role of women in the struggle against colonialist oppression. In Xala (1975), Sembene again takes on the native bourgeoisie, this time in the person of a rich, partially Westernized Moslem businessman afflicted by « xala » (impotence) on the night of his wedding to a much younger third wife. Ceddo (1977), considered by many to be Sembene’s masterpiece, departs from the director’s customary realist approach, documenting the struggle over the last centuries of an unspecified African society against the incursions of Islam and European colonialism. 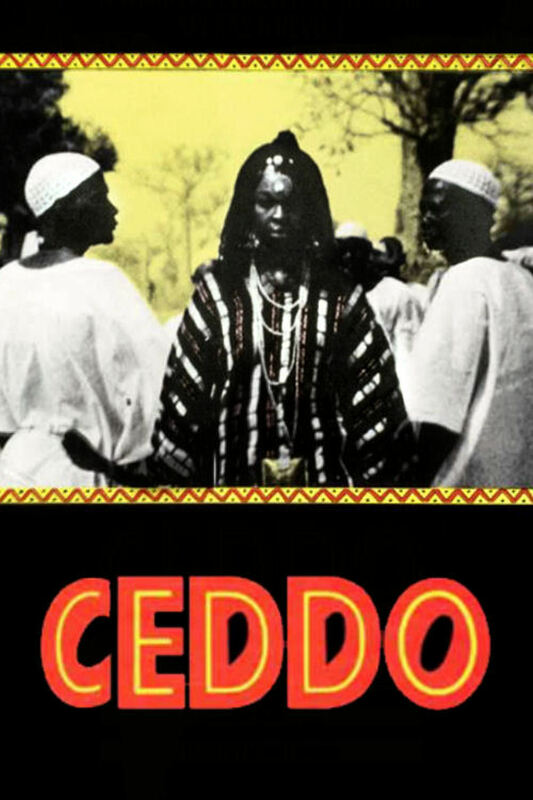 Featuring a strong female central character, CEDDO is a powerful evocation of the African experience.